In light of the tricky nature of SEO, multiple software companies have popped up to streamline the process. Their automated platforms promise results, with very little time, effort or understanding required by the business owner. 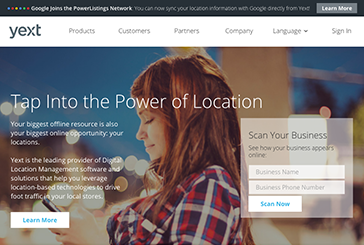 We reviewed three digital location management brands. Here’s what we found. The SEO industry darling, Moz’s sterling reputation in a sometimes shady niche of marketing is a case study in how to build community around a company’s cause. Their ongoing transition from a founder’s intense passion to a new CEO’s vision, along with a need to diversify their product portfolio will put this brand’s equity to the test. Yext is poised for global takeover, or at least that’s the image they’d like to portray. They have a suite of powerful products, a growing team and 10 years in business to provide a stable foundation. Unfortunately, the high amount of jargon and duplicate content got in the way of forming a true connection with their brand. 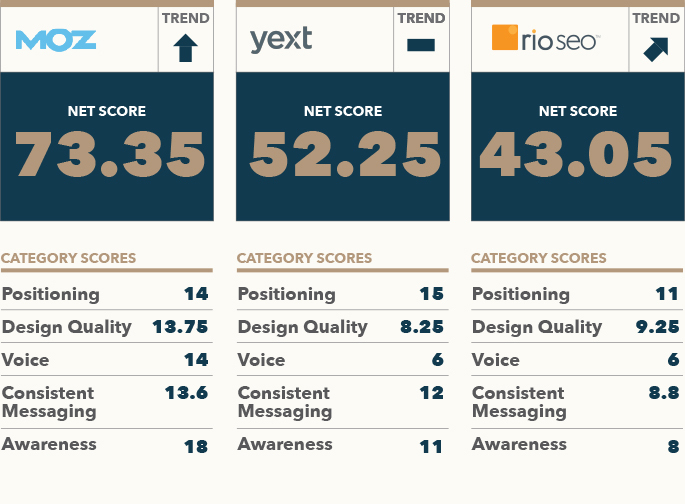 While Rio SEO received our lowest score, they may be the company primed for fastest growth. Their product offering has the potential to be distinct with high recurring-revenue clients, giving them a point of difference in a crowded industry. An investment in brand strategy to hone their promise, audience and messaging would do wonders to speed up their trajectory. Strong parent brand, with a rich history of growing a community of engaged and passionate fans. 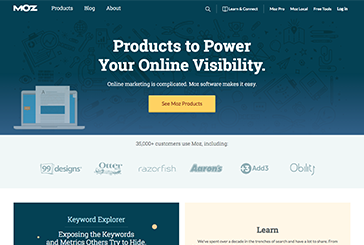 Crushes it with total organic and branded searches in comparison to their peers. Low monthly price point and an easy online sign-up process. Difficult to decipher how their product suite fits together. Could not find any customer case studies. One-note messaging used on headlines and advertisements doesn’t go deep enough. Map out the ideal customer journey through the entire suite of Moz products, including the overall results customers can expect. 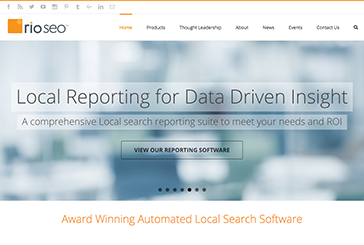 Provide real-life case studies with actual business names and results provided. Make a firm decision on audience segment prioritization. 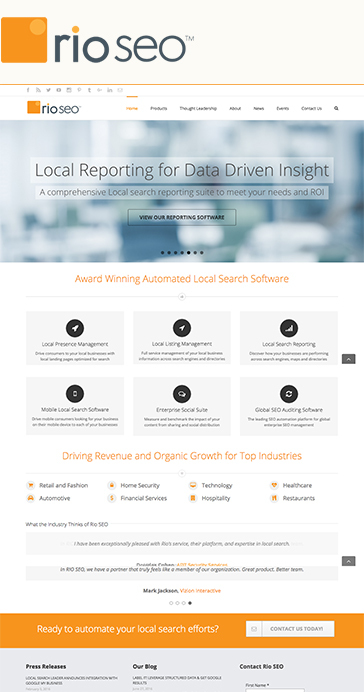 Want our full recommendations on how Moz Local could improve? Email us for the full report. 600,000+ customers. This is an impressive number and helps Yext quickly establish credibility with new visitors. They are expanding their suite of services to drive additional revenue growth. Their mission, “to help people go places,” is thoughtful and applicable. We loved it! Hard to quickly identify a strong point of difference other than size of customer base. Tone of voice is one-dimensional and, besides a solid mission statement, lacks an aspirational component. Site description gets cut off in Google search results due to length. Remove jargon from site messaging and replace with everyday language, incorporating the concept of your mission statement more. Remove duplicate copy from key pages. Increase organic traffic by honing your customer segments. Conduct in-depth research to identify and understand the pains of each audience group. Want our full recommendations on how Yext could improve? Email us for the full report. They have the potential to claim a point of difference in the industry - the best solution for large scale (think big franchises) enterprise businesses. The identification of common local search problems directly addresses audience pain points. 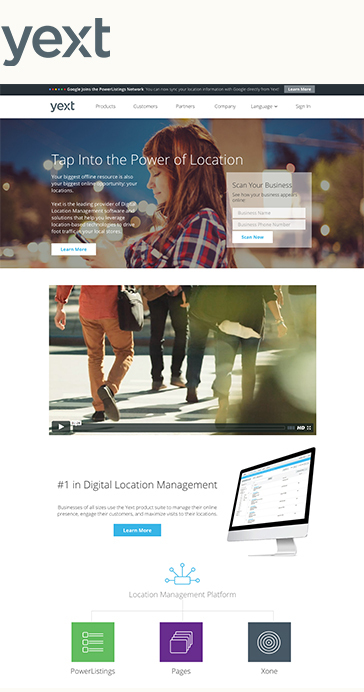 Their overview video gives a nice summary of how they can help one specific audience group. Grammar errors in highly visible places. Bing search results aren’t showing up correctly, a huge concern for a company in the online search business. Unable to sign up for the software online makes it feel more like a digital agency than a piece of software. Reduce the noise – create an information hierarchy and simplify how much copy is shared at one time. Hone your point of difference and call it out prominently. Creating a demo business would add incredible value. It could help potential clients see best practices, how the tool should be used and add a layer of legitimacy to your online presence. Want our full recommendations on how Rio SEO could improve? Email us for the full report.